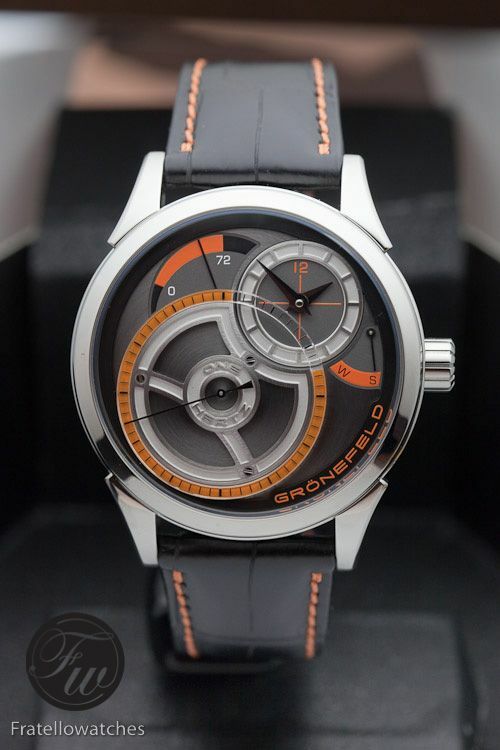 Just a few days after we showed you the new Gronefeld One Hertz in platinum and the new titanium versions (Fire and Ice), we are showing you a few live pictures we took during our visit to them in BaselWorld 2012. 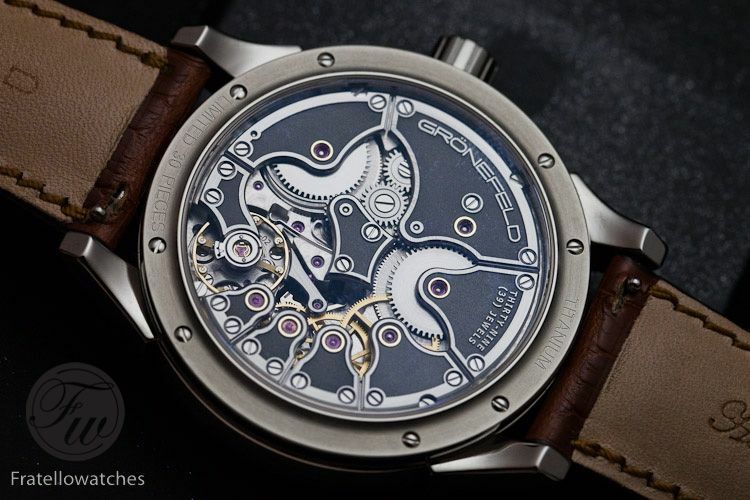 Probably the most down-to-earth watch makers we’ve ever met, Tim and Bart Gronefeld have done a superb job on the new variations of their One Hertz (secondes mortes) timepiece. 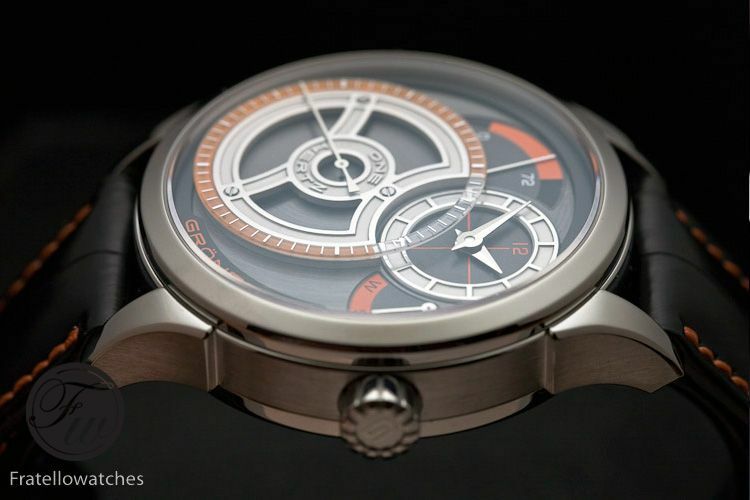 We especially love the Fire model, with the orange accents on the dial and orange stitching in the strap. Technically speaking, nothing changed, but they just decided to create different versions of their much appraised One Hertz to satisfy the demand of their customers. Under the bad lightning circumstances we are experiencing in most BaselWorld exhibitor’s booths, we were still able to get some live photos of all their new One Hertz variations. The polished titanium cases are a bit darker than the stainless steel model they introduced last year, but definitely not the matt grey color you’ve seen on titanium sports watches. 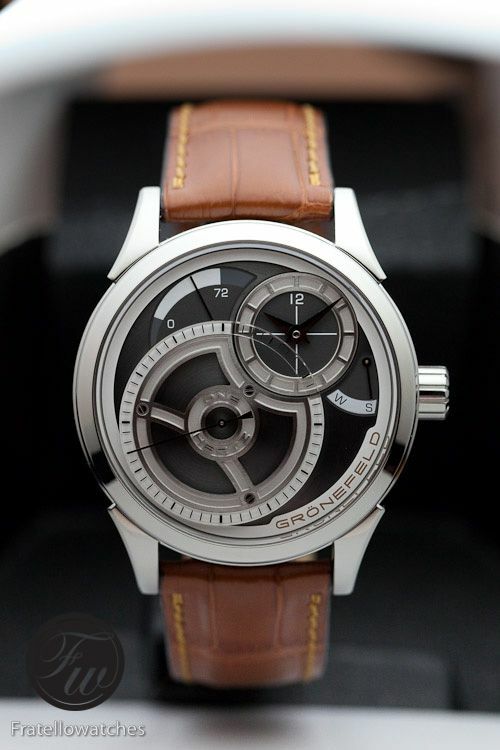 Sadly, we had only limited time to get them in front of the lens, as the BaselWorld booth of the Gronefeld brothers was fully booked with visitors since their appearance on TV and radio after they received the TimeZone’s 2011 Watch of the Year award. 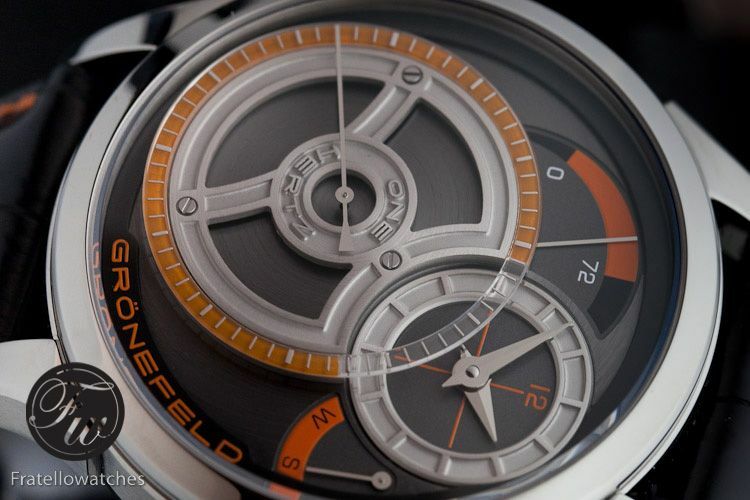 Strangely enough, the prices of the Gronefeld One Hertz models didn’t surprise us. The titanium Fire and Ice models retail for just under 40K Euro and the platinum version retails for 79K Euro. 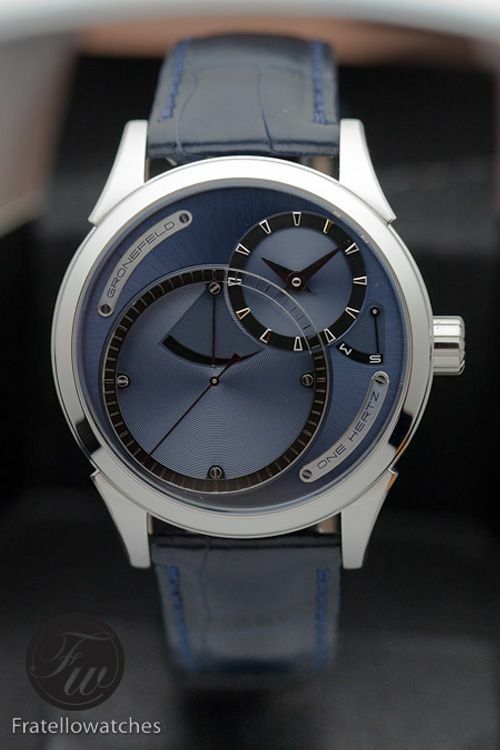 Seems like a lot of money [it actually is] but compared to timepieces with this type of complication of other haute horlogerie brands, it is not that astonishing. You can read more about the One Hertz timepieces here and here. Also make sure to visit their own Facebook page and official website.